The above facts mean you can only be at Hotel Z. 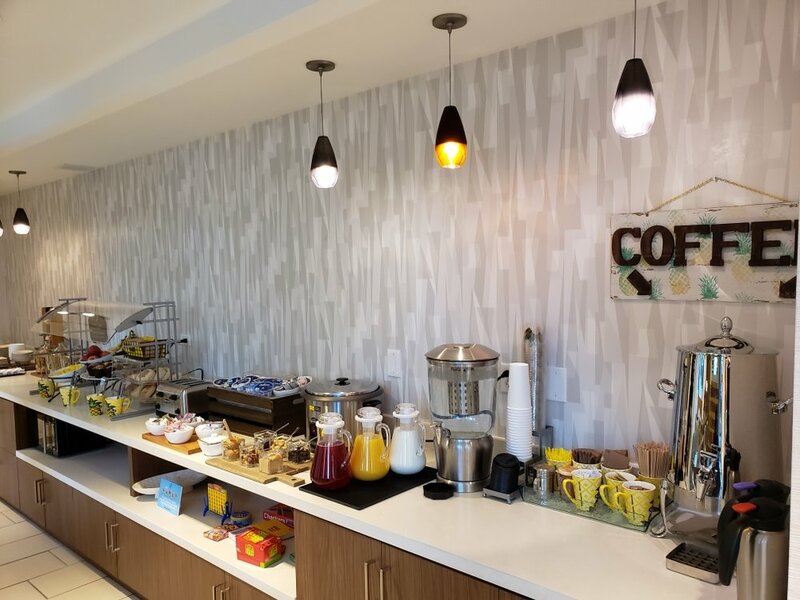 Another fact and a recently new one - you can now fill up on continental breakfast classics to energize yourself with a solid base of calories for the day’s adventures. 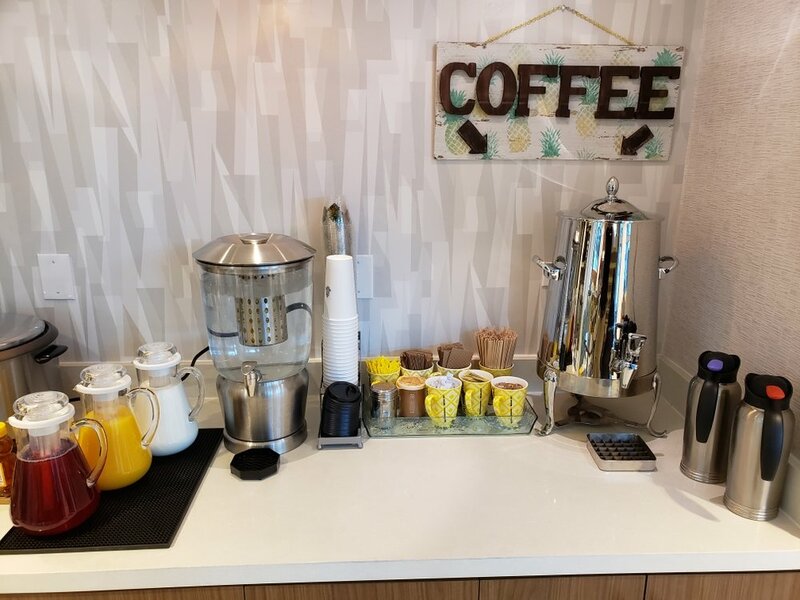 Located in our cozy, colorful lobby, Hotel Z’s breakfast offerings include fresh fruit, pastries, a cereal bar, bread & bagel options, and fresh brewed coffee to name a few. 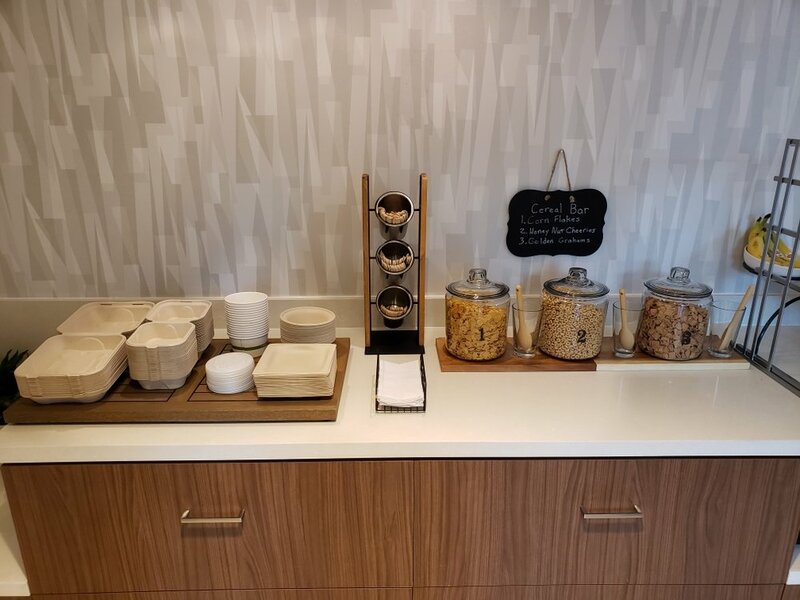 Even better, you have the option to take your breakfast back to your room, grab a seat and relax in the lobby, or grab and go out the door and into your day with compostable food containers. 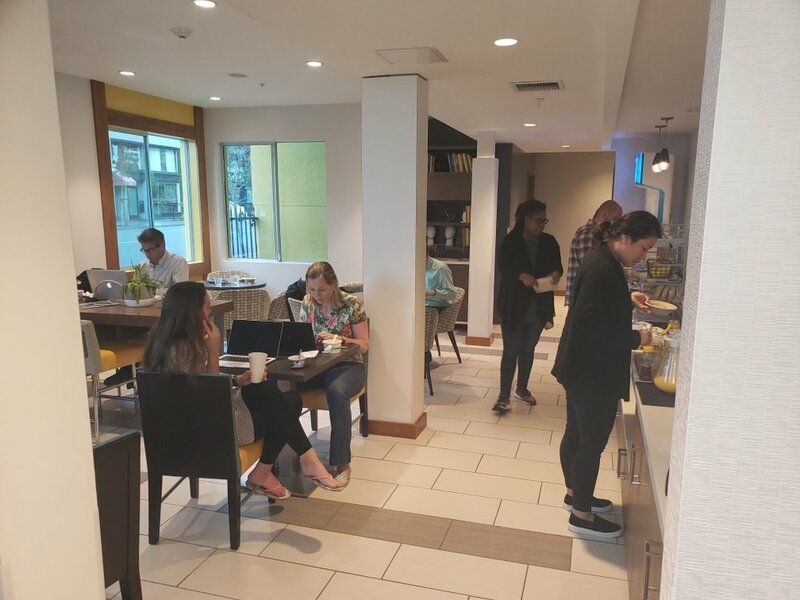 Breakfast is available from 6:30-9:30 AM Monday through Friday and 7-10 AM on weekends, so even if you had a late night out in the Gaslamp Quarter or just like to sleep in, at Hotel Z, morning sustenance is only an elevator ride away.